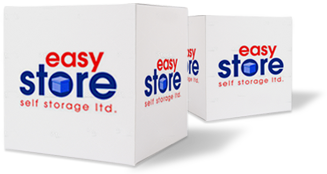 Why Choose Easystore for Self Storage? All of our units are on ground level, letting you drive your removal vehicle right up to the front door. This means no lugging belongings up stairs, lifts or down long corridors. 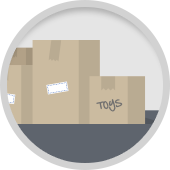 For peace of mind, here at Easystore all your possessions will be fully insured at no additional cost. 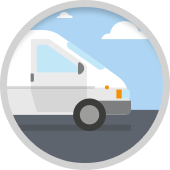 We know how stressful moving your possessions into self storage can be, so we’ll even help you to move your belongings with a complimentary van to help you move your goods in. We even have a complimentary forklift at both our sites for your use! 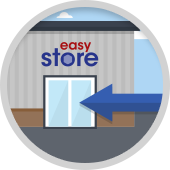 As an Easystore customer, you’re allowed to access your unit any time, day or night, 365 days a year free of charge. 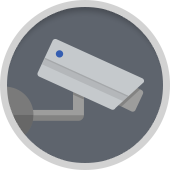 Motion activated lighting around the facility makes it easy to access your belongings after dark. 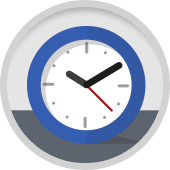 Each of our storage units comes with individual alarms and smoke detectors, allowing staff to monitor your storage, and respond immediately to any emergencies. You’ll have your own unique entry code to gain access to your facility, while each unit has an individual padlock – meaning the unit is still only accessible to you, even if someone knows your access code.